A new list has uncovered the popular holiday destinations that will give investors high rental yields. Finder.com.au compiled a list of ‘holiday hotspots’ based on the top 10 holiday destinations from Tripadvisor’s Travellers’ Choice Awards and the highest rental yields sourced from Residex. Michelle Hutchison, money expert at finder.com.au, said the list showed dramatic differences between potential investment returns for houses and units. 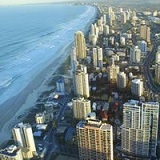 “It was interesting to see the list of holiday hotspots from a property investment point of view. Just because it’s the most popular holiday destination in Australia, it doesn’t mean it will necessarily give you the best return,” she said. “The most popular holiday destination was Sydney, but it holds one of the worst performing rental yields for houses and is mid-range for units. You could potentially buy three houses in Hobart with a fair amount left over and earn $1,290 per week in total, as opposed to one house in Sydney earning $1,190 per week – a difference of $5,200 per year. “Melbourne was the second most popular holiday hotspot but consistently lags behind with its rental yield, placing last with houses and second last with units. It seems to be the least investor-friendly of these holiday hotspots. For houses, Hobart city led the way, with rental yields of 4.75 per cent, closely followed by Byron Bay with 4.70 per cent, according to the research. Melbourne city has the worst return for houses on the list, with a yield of only 3.07 per cent – 1.68 percentage points less than Hobart and 0.35 percentage points less than Surfer’s Paradise, which came in second last on the list. Port Douglas had the highest yield for units on the list, at 7.68 per cent. Ms Hutchison said investors looking to invest in holiday destinations needed to do their research. "Take into account legislation from the various states if you're buying interstate. Although many states will share similar regulations around property and investment, failing to look into them before purchasing could cause problems later on, especially concerning your rental agreement with tenants,” she said. The full list for houses and units can be seen below.